The Rundown: I've been on a streak of figure spotlights lately, so I thought it was time to mix it up a bit and spotlight something a little different. 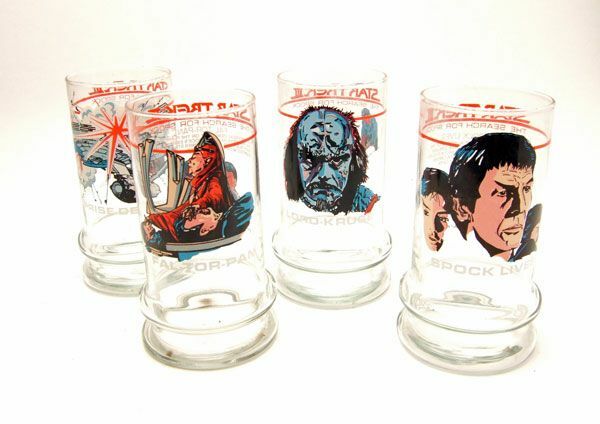 Looking around the basement the other day, my collection of Star Trek glasses caught my eye, so I figured "why not?". 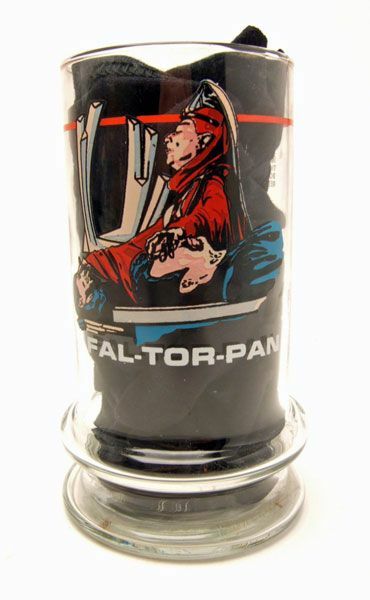 ...his open torpedo casket on the back. 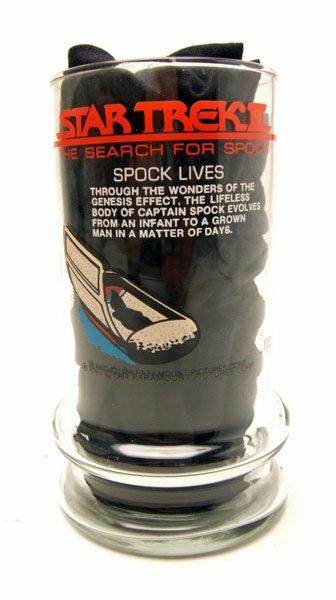 The text reads: "Through the wonders of the Genesis Effect, the lifeless body of Captain Spock evolves from an infant to a grown man in a matter of days." ...a shot of Kirk, Scott, and McCoy witnessing the destruction on the back. 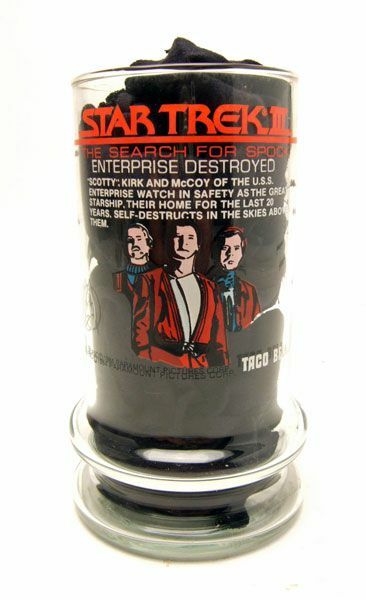 The text reads: "Scotty, Kirk and McCoy of the U.S.S. 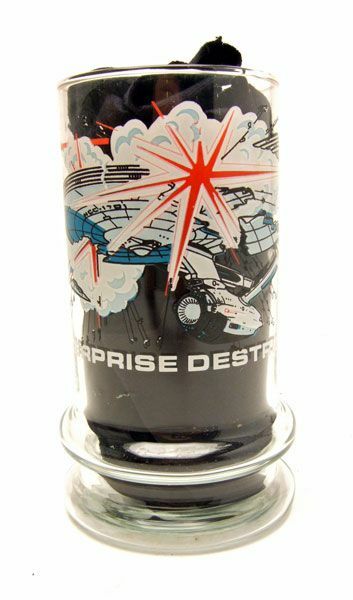 Enterprise watch in safety as the great starship, their home for the last 20 years, self-destructs in the skies above them." 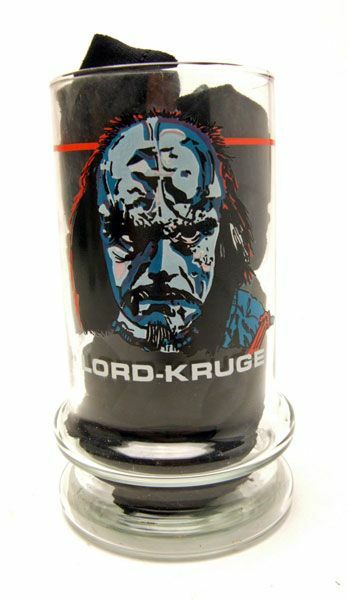 ...a shot of the final battle between Kirk and Kruge on the back. 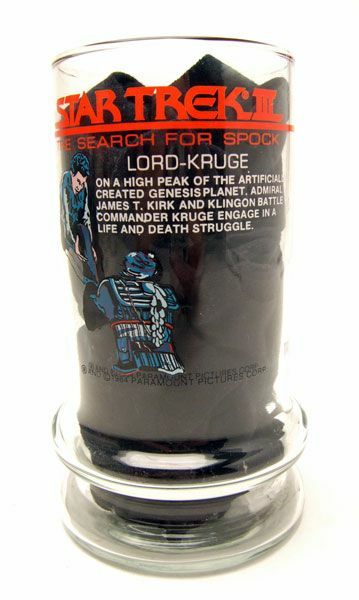 The text reads: "On a high peak of the artificially-created Genesis Planet, Admiral James T. Kirk and Klingon battle in a life and death struggle." 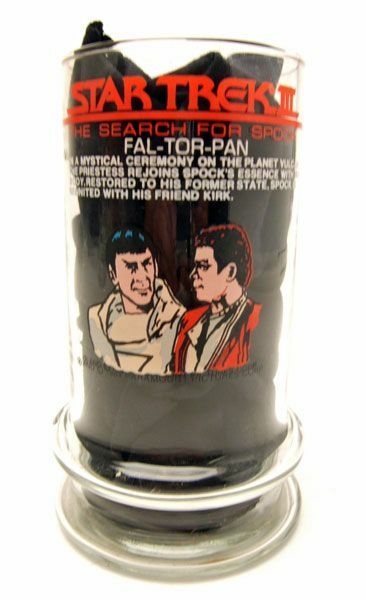 ...an image of a happy Spock and Kirk on the back. 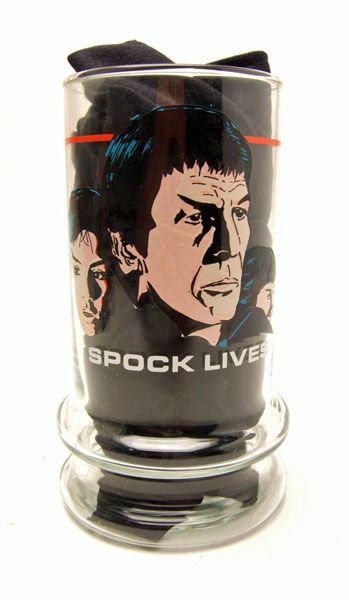 The text reads: "In a mystical ceremony on the planet Vulcan, the priestess rejoins Spock's essence with his body. Restored to his former state, Spock is reunited with his friend Kirk." Oh, and here's the original commercial (care of fuzzymemories.tv) for your viewing pleasure!